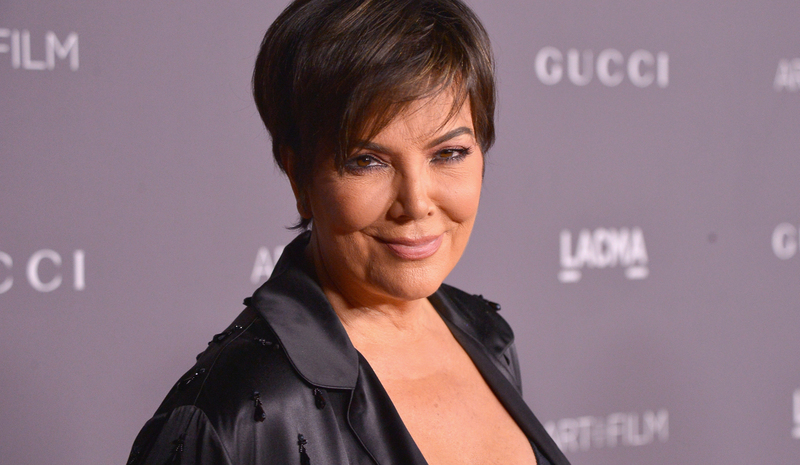 FACT CHECK: Is Kris Jenner Really Pregnant? The Hollywood Gossip reported on Sunday that Kardashian-Jenner matriarch, Kris Jenner is pregnant at 62. Is there another Kardashian-Jenner on the way? And no, we’re not talking about Khloe Kardashian’s upcoming baby. The Hollywood Gossip claims that Kris Jenner is pregnant for the seventh time, causing a media frenzy! Is Kris Jenner pregnant? Kardashian fans are going to be disappointed (or amused) by the truth behind this baby bombshell. Here’s what’s going down in Kardashian Land. According to The Hollywood Gossip, it seems so! The site reported on April 1, 2018, that “Momager” Kris Jenner and her long-time boyfriend, Corey Gamble, are expecting their first child together. There are many reasons not to believe this report. But we’ll get to the biggest reason first. Yes, this was all a grand April Fool’s joke. You almost got us there, THG. The report is so convincing that social media is still abuzz with questions about Kris Jenner’s purported pregnancy. The Twitterverse has also posted their reactions to Jenner’s pregnancy (which, again, is not true) thanks to the THG article. And can we blame them? Fans spent weeks wondering if Kylie Jenner and Khloe Kardashian were really pregnant until they delivered their baby news with fanfare. So, who’s to say Kris Jenner isn’t secretly pregnant, too? We at EarnTheNecklace.com have broken down the facts to explain to you why you shouldn’t believe rumors about Kris Jenner’s pregnancy. THG convinced a lot of us that the 62-year-old mom of seven is pregnant. And what better way to do it than with an April Fools Day prank! Unlike a lot of gossip reports, THG covered every aspect readers would ask in a celebrity pregnancy report. According to the report, Khloe Kardashian and Kylie Jenner’s pregnancies made Kris Jenner want to have a child, too. “Kris simply saw the joy on Kylie and Khloe’s faces when they were pregnant,” the supposed tipster told site. The source also claimed that Jenner was curious if she could get pregnant at her age. And apparently, she could. The report also claimed that Jenner was near the end of her first trimester and is due sometime in September. The report went on to acknowledge that Kris Jenner hasn’t officially disclosed her pregnancy, but her daughters reportedly had! “Just #blessed,” Kim Kardashian West allegedly tweeted with a baby emoji. “So happy for my mom,” was Kourtney Kardashian’s alleged response on Twitter. Meanwhile, Khloe Kardashian apparently was “not happy” that her mom stole her thunder but was “beyond thrilled.” And Kendall also chimed in with her response. However, if you were to go through any of the Kar-Jen ladies’ social media accounts, you wouldn’t find any of these posts. That’s because they’re made up! None of the ladies have responded to rumors of their fictional new sibling. Even Rob Kardashian’s unrelated tweet of “I’m hungry” is fake! The only real response stated in the report is Kylie who’s flaunting her post-baby bod in latest posts. Although THG admitted this was a Kris Jenner April Fool’s prank, other news outlets have picked up the story about Jenner’s pregnancy. It comes on the heels of another story weeks ago in Closer. The site claimed that Kris Jenner and Corey Gamble were going to adopt a child. But the story was debunked. On a related note, the most reviled Bachelor, Arie Luyendyk Jr., posted that his fiancée, Lauren Burnham, is pregnant! However, he also admitted it was an April Fool’s joke before the day was over. But angry Twitterati lashed out at him saying his joke was insensitive to couples struggling with infertility. Fortunately, THG’s prank was in good taste. Nonetheless, EarntheNecklace.com recommends to ignore the Kris Jenner pregnancy rumors and anticipate the birth of Khloe Kardashian’s baby girl.